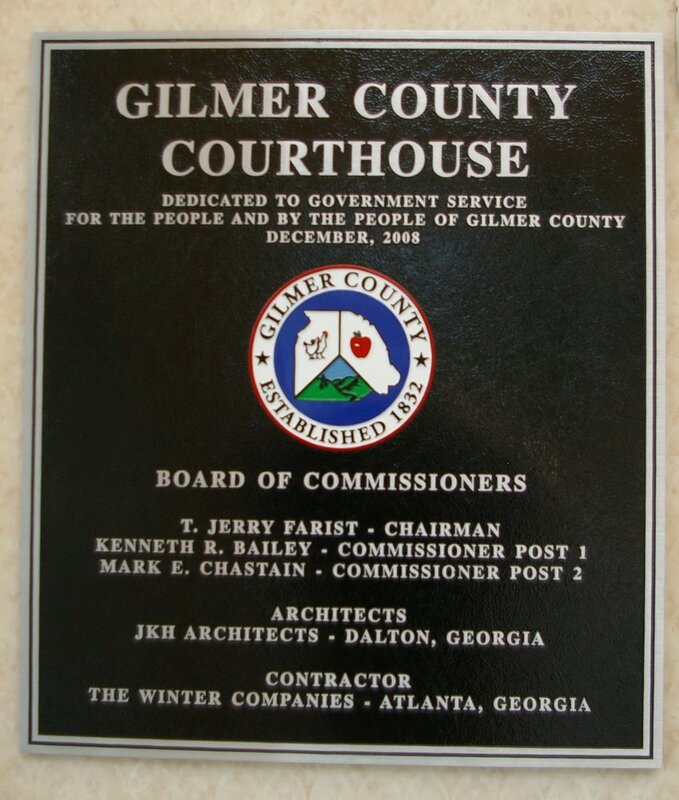 Gilmer County is named for George R Gilmer, who was a Governor of Georgia, state legislator and a United States congressman. 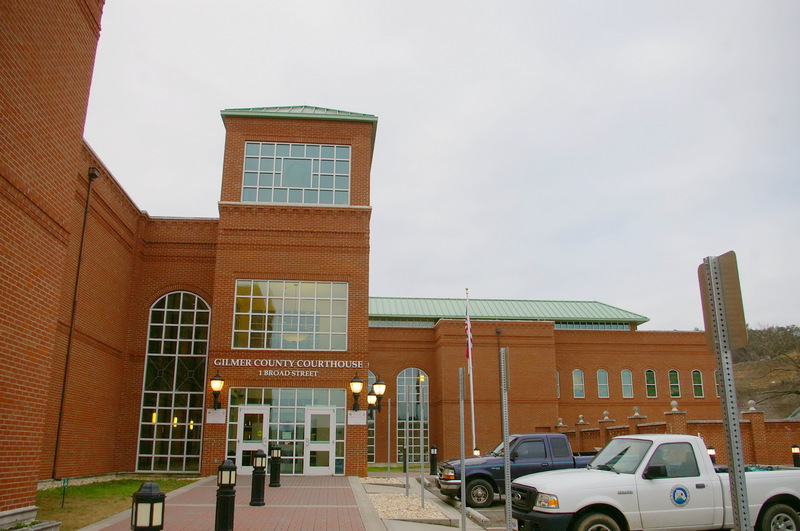 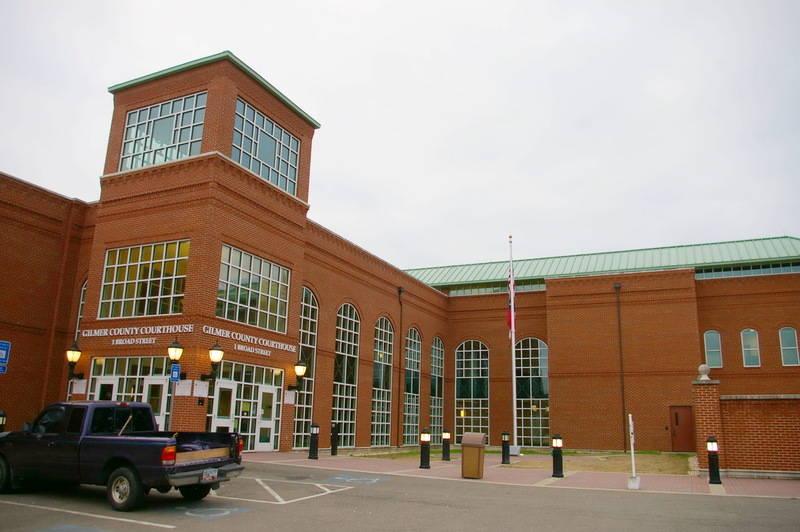 Description: The building faces north and is a two story red colored brick and concrete structure. The section of the building on the north side replicates the old 1898 courthouse that was torn down. 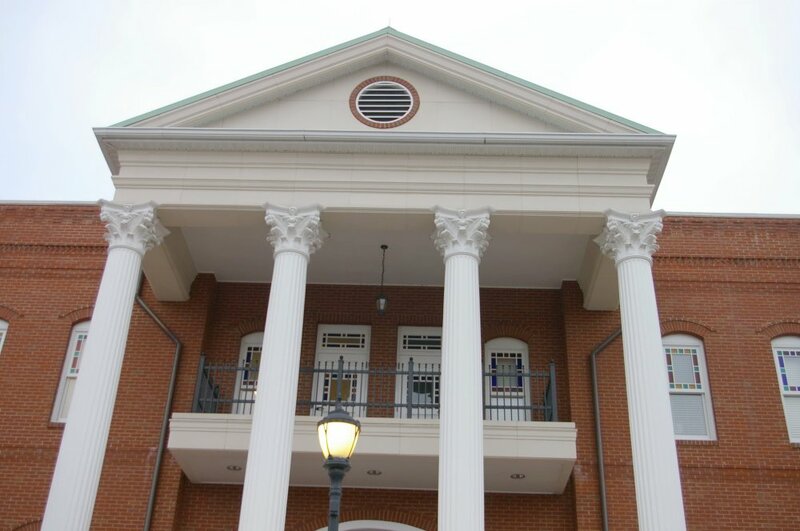 There are porticoes on the east and north sides with four columns rising to pediments at the roof line. The roof line is flat. 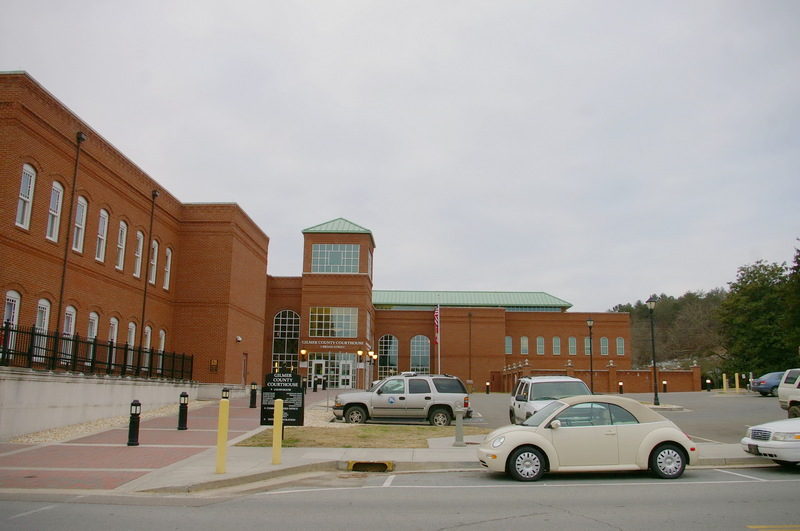 On the southwest side of the building is a large square three story tower with large windows and the main entrance on the first story. 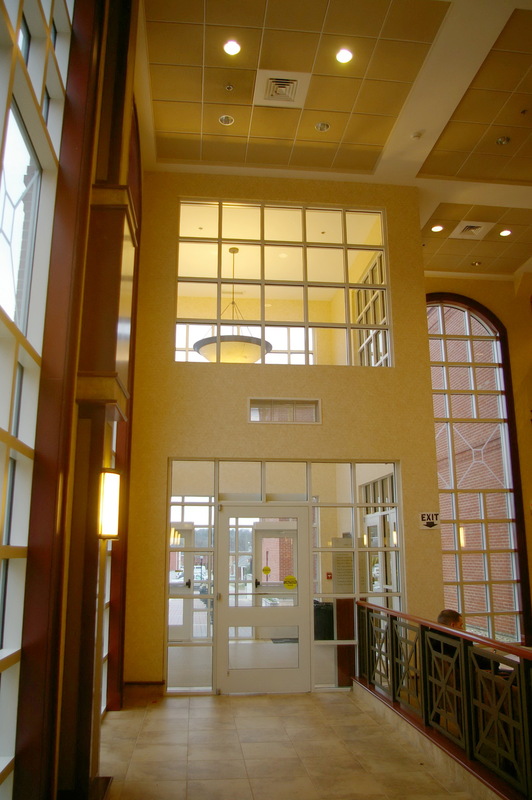 This section has large arched windows. 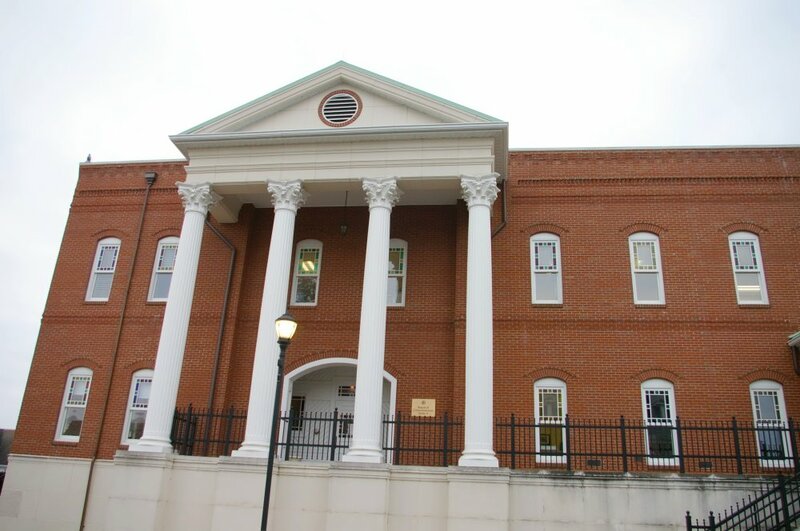 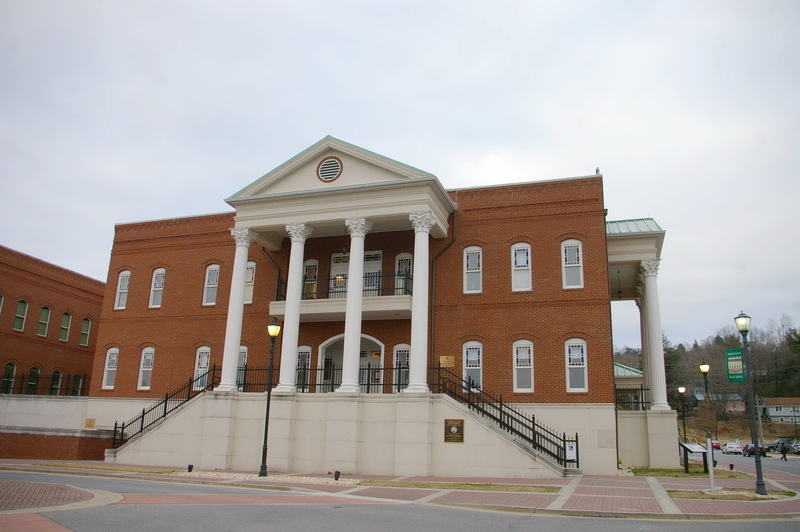 Note: The first courthouse was built in 1854. 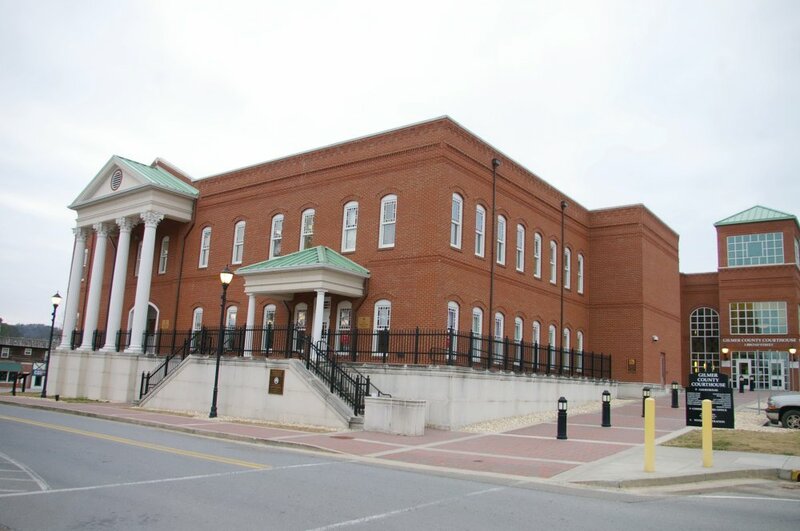 In 1934, the county purchased the Hyatt Hotel which had been constructed in 1898 for use as the courthouse. 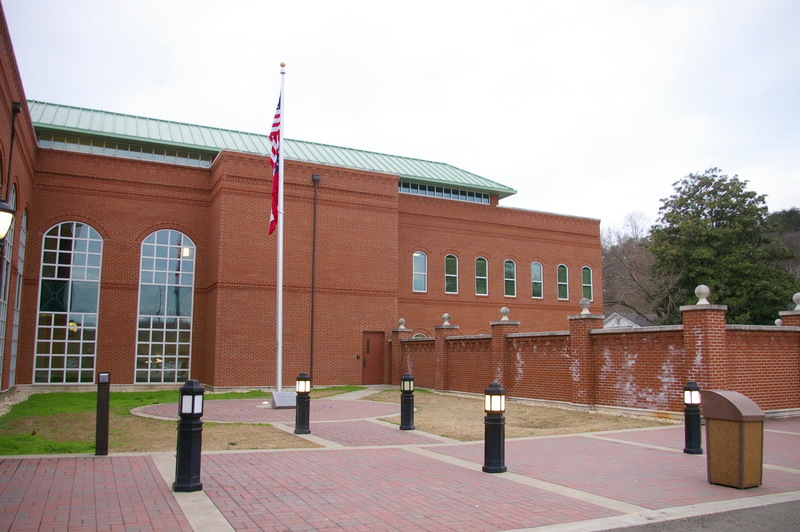 The building was torn down in 2008 and replaced by a similar styled building.